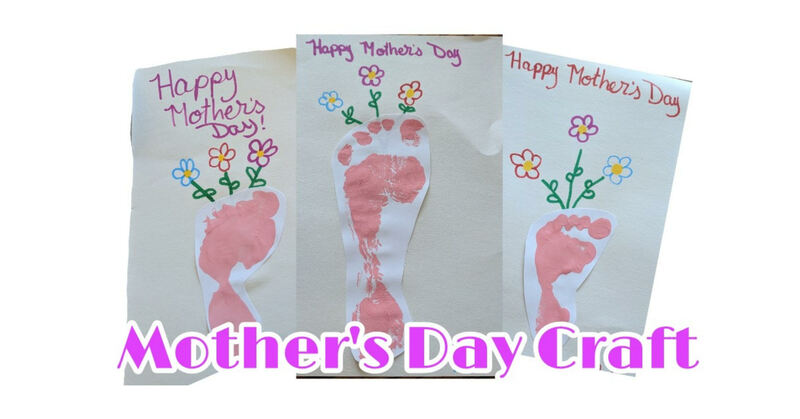 This Sunday is Mother’s Day, so today I wanted to show you our Mother’s Day craft. 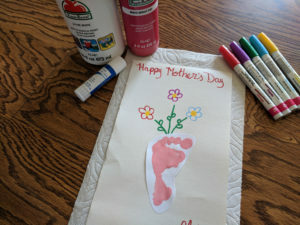 I had so many ideas that I wanted to do, but with the age group I have, I chose a simple footprint Mother’s Day card. I found it is easier to do footprints vs handprints with babies. The flower footprint idea is all over Pinterest, and this is my take on it. I used red and white acrylic paint to make pink, since I don’t have magenta right now. I put the paint onto one paper plate, a piece of paper on another one, and then put them on the floor. I also put a wet paper towel with a little bit of dish soap on it next to the paper plates. 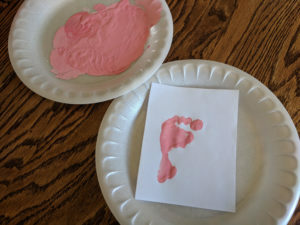 I used paper plates because it’s super easy for me to place a foot onto the paint plate and then bring the paper plate with the piece of paper up to the foot for careful placement. I worked on the rest of the card while the paint dried. Then I cut the footprint out and used a glue stick to stick it on. So simple! It only took 5-10 mins for each one I did! I think simple kid crafts are my favorite. 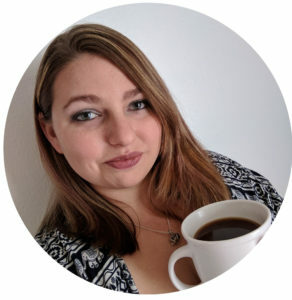 I’m excited for when the little ones can help more!